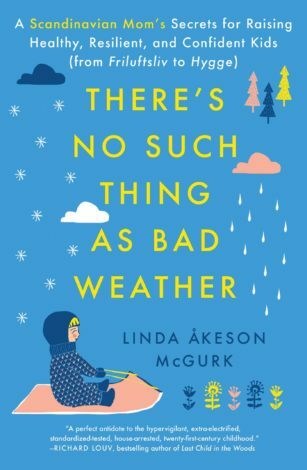 Hike it Baby Blog Team recently had the opportunity to interview Linda McGurk, author of There’s No Such Thing as Bad Weather, which is publishing October 3rd. The book looks at the Scandinavian way of raising nature-loving, eco-conscious children through outdoor play and adventure. 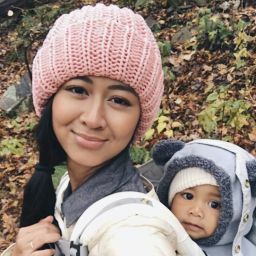 It focuses on connecting children to nature, something very dear to Hike it Baby. Giveaway Closed:September 25-27th, 2017 comment below for a chance to win a copy of Linda’s new book. What inspires you to get outside? 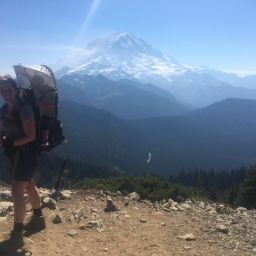 To me, getting outside every day is a primal need that I can feel in every cell of my body. My work requires me to spend a lot of time in front of screens, writing and engaging on social media, which leaves me feeling really drained and stressed. Nature is my antidote to all of that. It’s exercise, recreation and therapy all baked into one. That’s also why I’m so insistent on my kids getting outside every day. As they get older, chances are they’ll be even more consumed by screens and social media than I am, and I hope that they’ll feel that nature is a constant that they can rely on and turn to when they’re under pressure or feeling down. I’ll go as far as saying that being in nature is a spiritual experience to me. What was the inspiration that sparked writing this book? 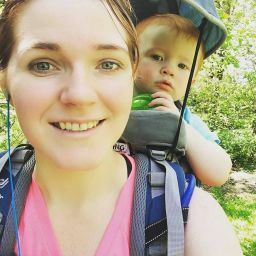 When I moved to the U.S. from Sweden, I didn’t have children and didn’t think much about differences in parenting cultures or attitudes toward the outdoors, but after I became a mom I was struggling to give them the same kind of childhood I had. 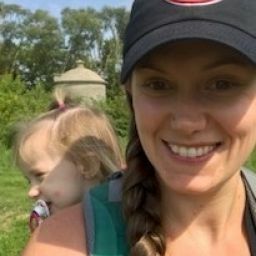 It struck me that many children in the U.S. seemed to live very sedentary, indoor lives and as I was standing in yet another deserted playground one snowy winter day I decided to find out if the Scandinavian parenting culture could help me and others raise children who are healthy, resilient and connected with nature. What advice do you have for parents who might be apprehensive about taking their kids outside? I always encourage parents to think back to the best memories of their own childhood, because we know that many of those moments happened outside. Unfortunately, there seems to be a lot more fear surrounding outdoor play today than when we were kids, even though it’s statistically just as safe now as it was then. 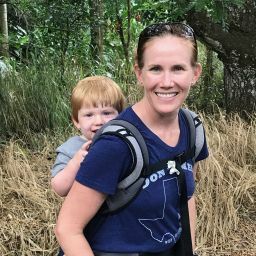 I think the best way to fight that fear is by familiarizing yourself with nature, your neighborhood and the opportunities for outdoor play that exist for your child. Read up on the benefits of outdoor play and know that they far outweigh the risks. Find out what the specific risks are in your area and how to best protect your child while giving her the freedom to play outside. And seek out other parents for support! 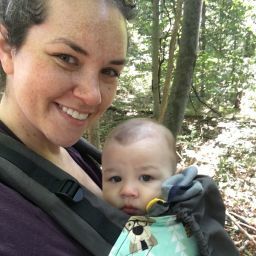 I’m a big believer in family nature clubs and groups like Hike it Baby, especially here in the US, where there is less access to forest schools and other nature-based preschool programs. 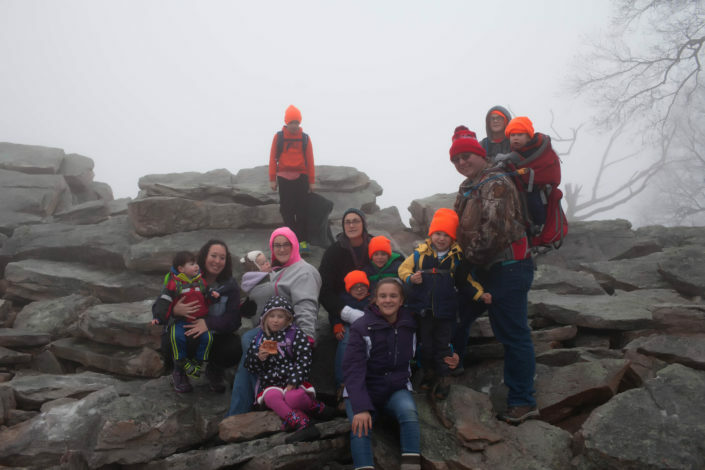 This Hike it Baby group isn’t letting the clouds dampen their spirits! Your book talks about how Scandinavian parents encourage their children to love the outdoors, how is that different from other cultures? 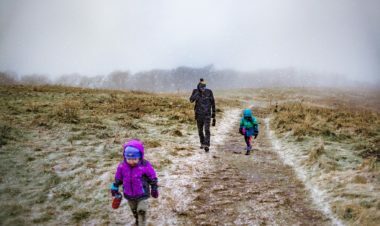 I think what’s unique about Scandinavia is that parents don’t let the weather become a barrier to outdoor play; instead they insist that kids dress for the weather and go outside every day. 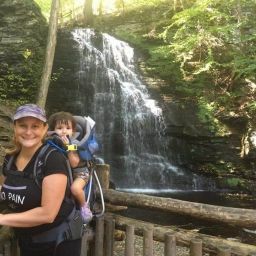 They look at it as an opportunity to really experience the elements and the changing of the seasons, and engage differently with nature than you would on a day when it’s 70 degrees and sunny. Which is rarely the case in Scandinavia! 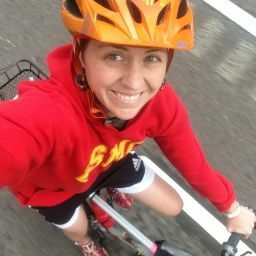 And it’s not just the parents who will tell their kids that “There’s no such thing as bad weather, only bad clothes.” Educators are on board too, which means kids are expected to be fully equipped to play in rain and snow at preschool and at school as well. Do you think Scandinavian children play differently than American children? Kids are wired to play regardless of where they were born and raised, but one big difference is that young children in Scandinavia seem to have more freedom to decide when, where, what and how to play than their American peers. Scandinavian parents and early childhood educators generally tend to interfere very little when children play, and give them a lot of time to do so. I also see a lot of American children who almost don’t seem to know how to play outside, because they haven’t had much opportunity to do it. Unstructured outdoor play takes a lot more creativity and imaginative thinking than a video game or a toy that does everything for you, so if a child is not used to it, it takes a while for them to catch on. I don’t see this as much in Scandinavia, maybe partially because most children over there play outside every day at preschool as well as at home. How do your children feel about No Such Thing as Bad Weather? There have been times when I’ve worried about their reaction to this book when they get older, because their lives are at the front and center of it. But when I saw their reactions when the first galley copies of the book arrived in the mail, I knew that I had nothing to fear. They’re extremely excited about No Such Thing as Bad Weather and quite proud to see their names in it, and I feel fortunate to have been able to document a chapter of their childhood in such a meaningful way. Do you have a bigger plan for No Such Thing as Bad Weather other than the book? Camps around the book? Products? 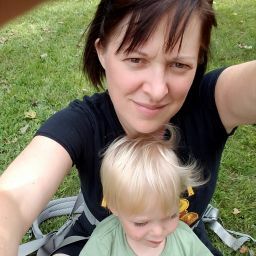 Honestly, I’ve had all kinds of crazy ideas, ranging from starting my own line of outdoor clothing for children to organizing a forest school retreat or conference. But when it comes down to it, I’m a writer at heart and that’s probably what I’ll stick to. Right now, I’m fully focused on this book and trying to get it into the hands of not only those who are already a part of the movement to get kids back outside, but also those who are new to these ideas. 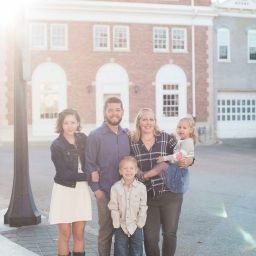 I would love for it to go big, so that I’ll have the opportunity to travel and speak about connecting children with nature and write more books in the future. Have you ever let bad weather keep you from playing outside? Or has there been a time that you went outside to play and had a great time, even though the weather wasn’t the greatest? Share with us in the comments below and have a chance to win the new book. Giveaway will run September 25th-27th, 2017. Comments will close on the 27th at midnight PST. Giveaway closed! Winners will be notified by email. 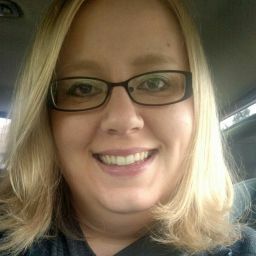 Community adult books, Book Reviews, giveaway. permalink. Here in the PNW we LOVE getting out in the rain and snow, but it took some practice (and the right gear). We’re thankful to Hike it Baby for encouraging us to do so. Excited to read this book, too! LOVE this approach to raising children. Since we’ve moved and become part of HIB I’ve definitely tried to get us outside as much as possible and working towards everyday. I’ve noticed a difference in all of us wanting to be outside more and more, the girls ask to go out all the time! My daughter LOVES getting out in the rain! She loves to jump in puddles and play in the dirt. It’s much easier to get her outside since I’ve got the right gear. I need to work on the correct gear for myself so I can be more comfortable outside with her. My husband and I love winter hiking. 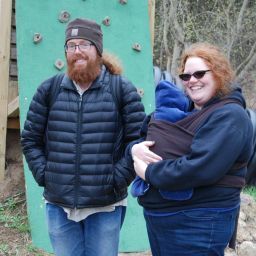 We once took our son out in pretty extreme temps. He lost his mittens and his hands got rather cold. I felt terrible. We vowed next time to bring a spare. Sometimes I feel like other parents are frowning on us getting outside in poor weather, but this is encouraging. As long as we have the right gear, we can succeed at having a great time. I will put this on my reading list! I love the concept of friluftsliv. 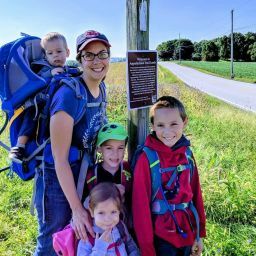 I’ve found during this HiB30 challenge in particular that the whole family is happier and more energetic when we get outside every day – even when sometimes it feels like a chore to actually get out of the house at first. I remember in college, it rained so much that most of the campus was flooded. As college students, we embraced it and played slip in slide directly on the grass that was covered in a couple inches of water! I want to help my daughter embrace the weather and have fun regardless of what is going on! It’s not about bad weather, it’s about good gear!! The right attire goes a long way. I’d love to read this book. What a great reminder to get outside daily no matter the weather! Great message that everyone should hear. I plan to read this book and share it with my network of friends! 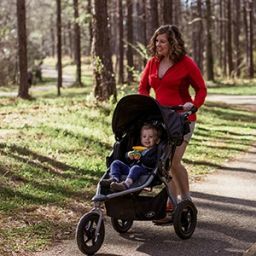 We just moved to South Carolina and it is much hotter than I am used to, but I’m trying to adjust and take my son out every day because he and I are both noticeably happier when we spend some time outdoors! My son is in a forest preschool. I’ve heard his teacher say “There is no such thing as bad weather, only bad clothing” a time or two☺. I’d love to win this book and donate it to his school. Perfect timing with cold weather approaching here. Since discovering HiB we have been so much better about leaving the excuses behind and going out to find the fun in whatever weather we have been given. As someone else has said, it’s about having the right gear. 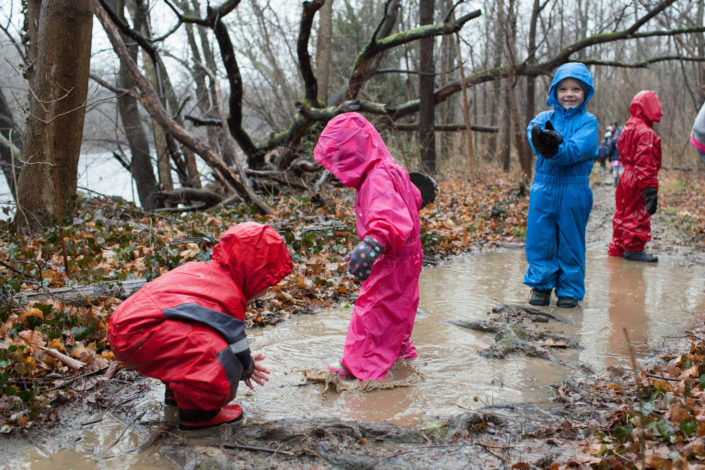 Once my kids had rain boots and rain suits, there was no excuse not to go out in the rain, they actually look forward to rain and the chance to use their special gear and go splash and get muddy. It feels good to see them being happy just doing what kids are supposed to do anyways. I look forward the reading this book! I’m so thankful for our gear, wet weather and cold. Before Hike it Baby I didn’t really know about getting out no matter what with a small child. Now, I make sure we do. Even if the hike doesn’t go as planned and we just end up jumping in puddles at the trail head parking lot. The language we use around weather with our kids is so important too! Like everything they take their cues from us. We had a swim instructor that always told the parents – even if you think the water is cold when you get in you’re not allowed to show it :). Excited to read the book! I can’t wait to read this book! 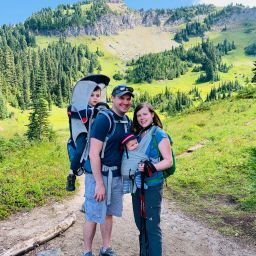 My husband and I are trying to make sure our son loves the outdoors as he grows older so any outsider guidance is very welcome! Getting outside is so important to us. 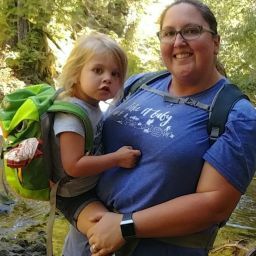 I want my kids to grow up with a connection to nature and a sense of adventure when things don’t go exactly as planned. I really love the concept of this book and look forward to reading it. My best memories as a child are outdoors with my parents and my brother and I’m making sure my girls have this too. I have learned to dress for the weather in this country and I think is just amazing. Can’t wait to read this book!!!! Today’s technological world controls so many of us and inhibits our ability to appreciate mother nature and what she has to offer. I think this is an important reminder and motivator. I’m excited to read the book. 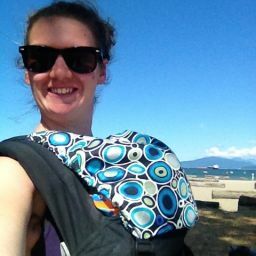 I’ve heard great things and my daughter certainly believes that every day is an outdoor day. Love this concept. I can’t wait to read this book! 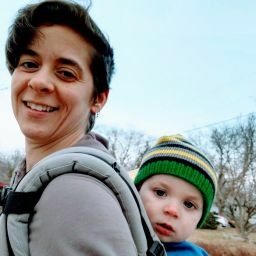 A lot of people think I’m crazy for getting solid outdoor gear for my toddler, but we definitely use it (especially in the winter). We live in a nature preserve, so there is no shortage of exploration. 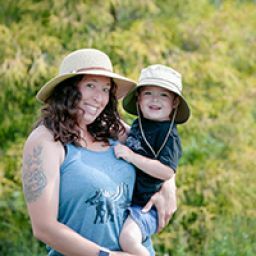 Playing outside daily has helped my son become super observant of the natural world. He can seriously spot a mushroom or a spiderweb anywhere! 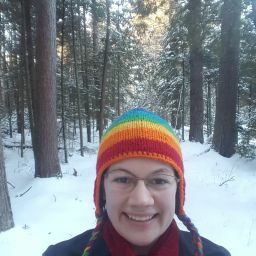 I totally vote for a forest school retreat! 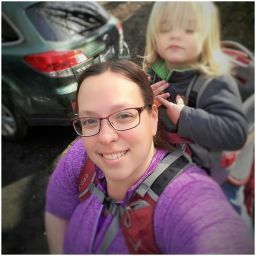 It’s something a few other HiB mamas, including myself, have been looking into. The more ways we can incorporate nature into every day living and learning, the better! Would love a book like this! I definitely need some encouragement with this. I am not a hot weather person so when temperatures rise I immediately recoil inside. I also don’t care to get wet and don’t really have the proper gear for myself to be able to go out on rainy days. I have tried to make more of an effort to get out of my comfort zone this summer for sure. If I don’t win the book, I will definitely be checking to see if my local library has it. Thanks for the chance. My child has taught me this lesson over the last two years. There is joy in his heart when he is outside no matter the weather. Through HIB we have gotten out on days that I would never have imagined I would be hiking before. We have learned to embrace the mud puddles, dance in the rain, and appreciate the change in season. I am so grateful for parents that embrace this and encourage me to keep on jumping in the puddles! I live in the mid west, and my you hear loves playing outsude in any kind of weather. We lived im Germany for about 3 years and their preschools are like the nature schools in the US and love how They teach and interact with nature. Im good as long as its not snowing and freezing. Honestly, it’s the heat that keeps me from going outside more than rain and snow ever do! I have a hard time staying cool, and bring hot makes me grouchy. But besides that, we try to get outside every day! 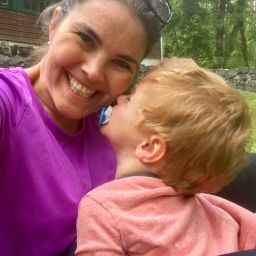 My son is a different kid on days when we’ve spent a lot of time outside – and he sleeps better at night, which is also a blessing! If we didn’t get out in the rain, we would be trapped inside for nine months of the year here in the PNW! 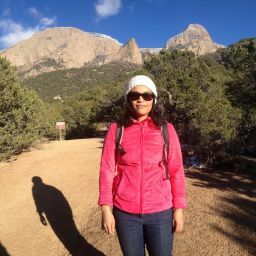 I used to not hike much during the winter… Maybe a couple times a season for a “token” hike in the snow. But Hike It Baby has changed my outlook tremendously. We got out for hikes a couple times every week last winter! The knowledge I’ve gained for how to dress my child properly for the cold has boosted my confidence a lot as well. Knowing my child is safe in the weather is a huge hurdle we crossed to get where we are. Before joining hike it baby I thought we could just jump in puddles at our house. Now we jump in puddles on trails parks etc. We enjoy hiking in rain sleet snow and even in below 0 weather we have created so many memories and funny stories to share all because of hike it baby and the friends we have made. I often catch myself trying to get out of going outside (usually when it’s inconvenient for me or doesn’t fit in our schedule) by using the weather as an excuse. I imagine this is from a lifetime of hearing it from my parents and society. Hopefully I can get better about changing my dialogue. I’m very much trying to get my husband on board with this idea! No such thing as poor weather just poor clothing. We’re still working on it! I’m very excited about this book and I hope that it can be enlightening to our family! I never would’ve thought to get my child outside no matter the weather until I found HIB! Now I’m looking to start a first school!!! I must read this book! I look forward to reading this book whether I win the giveaway or not! 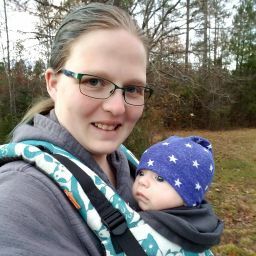 Hike it Baby has definitely helped us get outside in all types of weather. We were already used to getting outside on rainy days from the time we lived in the PNW, but snow was more of a challenge, especially moving back to the Midwest where it’s much worse. But through the HiB30 challenges, we have pushed ourselves to go out even in the winter weather. We are learning to appreciate nature at all times of the year. I think this book sounds like it would be a really good read! This is what I am trying to teach my children, which is difficult in the US. We are blessed to live in the South where kids are encouraged to be outside most of the time. Sounds like a good read! As a PNW who is used to mild winter weather, and now living in an area with cold winters and lots of snowfall I will try keep this in mind during the winter. I LOVE this. 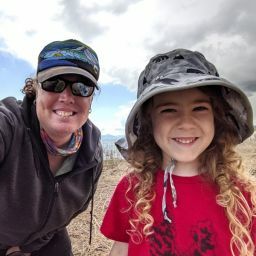 I take my boys on hikes at least five days a week and we always try to get outside no matter what the weather is… Finding a future school for my children that incorporates such values has been difficult, but we found the closest match. I remember going outside for a walk. We were about halfway around the block when it started pouring. My kids had so much fun splashing!! I’m raising my babies in Hawaii so we have the same beautiful weather 365 days a year and my babies LOVE being outside! We did travel to the Southeast last year for a month and it was more challenging accounting for thunder storms and large climate swings throughout the day. 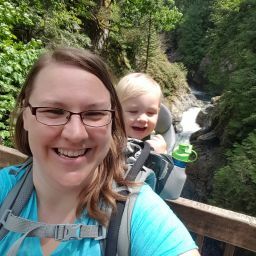 My little one and I have done a few rainy day hikes during this challenge. Her tante lives in Norway so we are hoping to get her ready for a trip with a lot of snow! 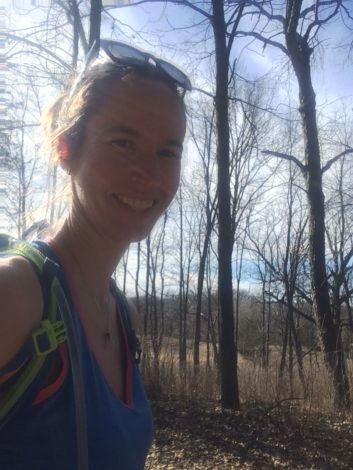 While I never minded getting out in rainy and snowy weather, it wasn’t until I found my local HIB branch that I learned to embrace and enjoy getting out in “bad” weather. My little dude will run to his rain gear and attempt to put on his boots if he sees even a few rain drops! I always intend to go outside but often find it to motivate myself to do the extra work of getting ready when it’s not nice out. Love this! I try so hard to watch what I say about the weather in front of my son, conscious that he is listening and absorbing all of that information. It’s hard, though! In New England we get it all in terms of weather and the old saying is “if you don’t like the weather wait a minute” rings true here. So far this week we have experienced 90° days and could see snow at higher elevations on Friday! I can’t wait to read this. While traveling in Norway, we saw kids at a preschool playing outside on a rainy day. They all had their raincoats on and the teacher was even making a fountain with a hose! From that moment I was inspired to make sure our (then future) kids played outside in all kinds of weather. 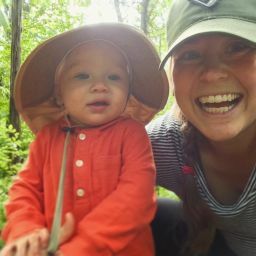 I grew up playing outside rain, shine, or snow and look forward to sharing my love of the outdoors with my daughter. Sounds like a great book! I love this! I think it’s so important to get out in any type of weather. It teaches your kids to be fearless and adventurous. Cannot wait to read this! All my favorite childhood memories are outdoors and I’m doing my best to instill the same love of playing outdoors in my son. Unfortunately, weather got the best of me today. We planned on a last minute hike to see the fall colors, but it was foggy and drizzly. I was super excited then got scared I would be too cold or thought it wouldn’t be worth it to hike in the cold! I love to read this book to get inspired to go outside to play even when I’m not feelin’ it! I’m stoked to read this! Hooray for outdoor play! Can’t wait for winter and to get outside in the snow again. This booknlooks amazing can’t wait for the chance to read it!